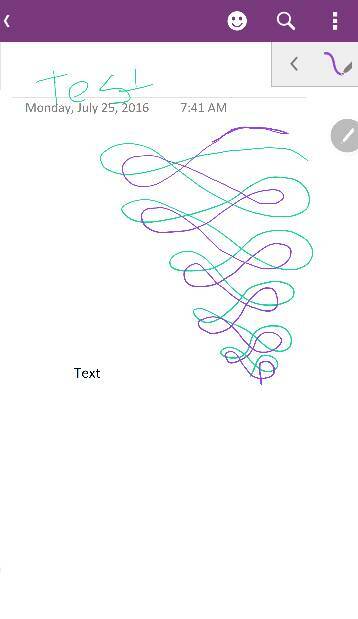 OneNote app Quick Note, how can I get it recognize the strokes I make? I was wondering if anyone knows how to disable text recognition when writing a Quick Note from the OneNote badge. I'm using a Galaxy Note 5. I just want to draw lines and text on the Quick Note, but it keeps recognizing text and removing the strokes I make. Moved to the Note5 forum for better traffic. I was able to do that. So I'm note sure why you can't. Here's my two screen shots. This showsse my actual One Note page. I drew, then typed "text". It off course saved the page as text. Here's the other screen shot, I could only add one above. 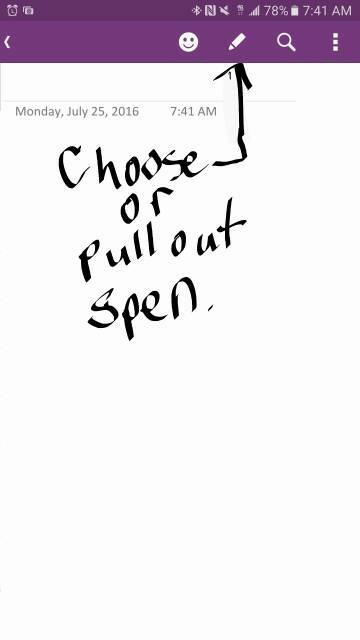 This one I did the screen shot then wrote on it. Can I hide the app draw on my 5x? My camera Food mode on my Note 4 is no longer working. Anybody know a fix? How can I have 2 apps running without them restarting?